No fluffy stuff. Just deadly stuff. Read if you secretly wish you were daredevil wildman Steve. 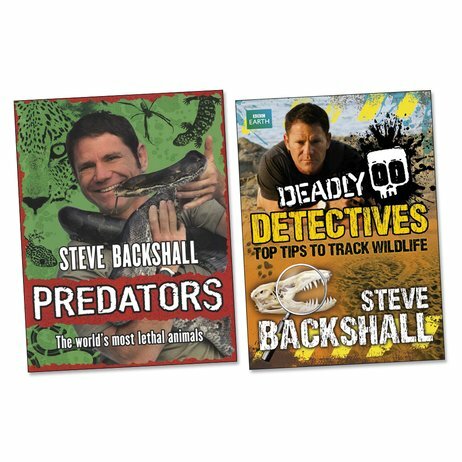 In these two books, Deadly 60 TV star Steve Backshall shows you how to survive nature at its wildest. There’s no going back – but if you follow his tips, you won’t get eaten up! Let’s start with predators. The downside? You’re dinner. The upside? You’re one too – a very smart one. Hunt down these hungry hunters and live to tell the tale! 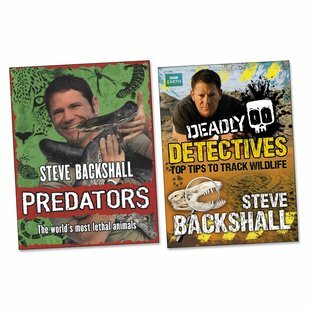 Next up is Deadly Detectives: your chance to start tracking nature with Steve. (Nothing gets past him.) Nature is lethal – but Steve’s a born survivor. Are you?